RESQ Charitable Trust - WHY SENIOR DOGS ROCK! #AdoptDontShop — we've all heard it. Most of us stand behind it. And sometimes, our four-legged friends epitomise it. Although we may have come a long way as a society in terms of the “Adopt Don’t Shop” movement, unfortunately, several pet owners continue to abandon their loyal companions for the most absurd reasons. One such reason is Nature’s most irreversible principle: ageing. While numerous Pedigrees are abandoned every day across the country, the kind that most frequently end up on the roads are senior dogs: that is, dogs who are usually discarded for the simple crime of having aged. Amidst all the Facebook adoption appeals for newly orphaned puppies or teenaged dogs looking for their new forever homes, one often forgets that senior dogs need loving families, too. But it isn't just that older dogs need a home: caring for a senior dog is one of the most fulfilling facets of the human-dog relationship, and we’re here to prove it! Here are some reasons why Senior Dogs absolutely rock! THEY’RE PRACTICALLY A FOUNTAIN OF KNOWLEDGE! Adopting an already-trained dog will save you a ton of time and energy that you’d normally have to dedicate towards training a younger dog. Best of all? 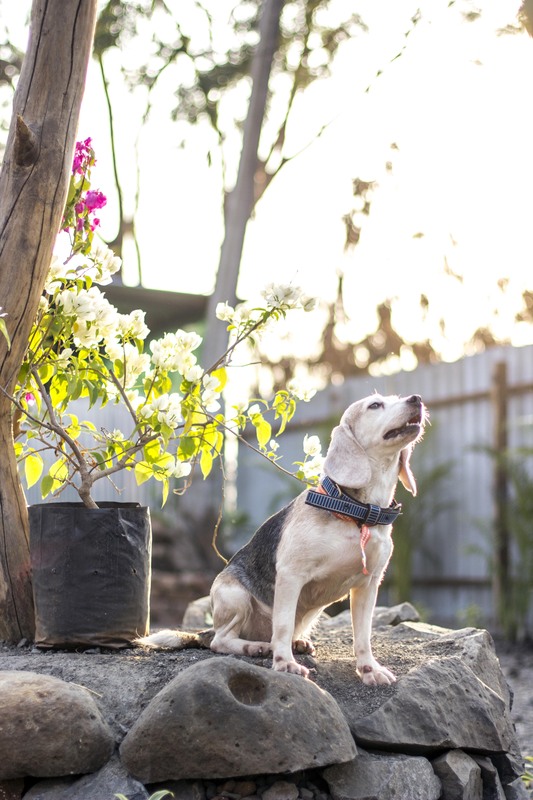 Because they are already leash-trained, an older dog is quick to accompany you on walks, play fetch, and participate in activities that would normally require basic obedience training. What did we tell you? With age comes wisdom! THEY’RE LESS LIKELY TO GO SHARK-WEEK ON YOUR SHOES! More often than not, senior dogs are perfect for first-time dog parents who are nervous about adopting a companion. Mature dogs with an established personality and habits have a way of ‘training’ their humans, easing you into a new world of pet parenthood, all whilst stealing your heart in the blink of an eye! For those of you who aren't quite as new to the pet parenting gig, a senior dog’s presence will go a long way in calming and training their boisterous younger sibling. A puppy succumbs to your personality, moulding its life, its quirks, its very being to your schedule and predilections. A senior dog, on the other hand, is its own dog: you mould your life and schedule to suit his needs, and therein lies the wonderful challenge; the beginnings of a lifelong friendship that are rooted not in convenience, but in compromise – and isn’t that the basis of a long-lasting relationship? Contrary to popular belief, dogs can be trained at any age, and older dogs tend to have a greater attention span than puppies. With love and dedication, you can teach an old dog new tricks! Think of it this way: adopting a senior companion animal is almost like caring for a puppy on Easy Mode. The rewards are just as incredible, but the journey is a breeze. Older dogs will constantly surprise you with their intelligence, resourcefulness, and best of all — their unparalleled goofiness! Just ask Grandpa Lucky, our resident Fountain of Knowledge, and Grand Goof Supreme! ADOPTING IS ITS OWN REWARD! Perhaps most important of all, adopting an older dog might save its life. Pets (particularly Pedigrees) are genetically and behaviourally hardwired to be human-dependent, and stand little to no chance of surviving on the streets. While dogs young and old have their own merits, it is important to mention that adopting is its own reward. Opening your heart and home to an animal in need of a second chance enables one to learn, grow, and heal -- and no, we aren't just talking about dogs here! Perhaps a senior dog may not be everyone’s speed: some may prefer a spirited, energetic young dog, while others may seek a calmer, more predictable lifestyle easily accommodated by a senior dog. Whether an older dog is more your stride or a puppy seems to be the way to go, one thing is for certain: all abandoned animals deserve the warmth and love of a second chance -- and you can give it to them. All you have to do is #adopt. *Disclaimer: While we have encountered our fair share of unjustly abandoned cats, this article was penned in response to the sheer number of abandoned dogs we have come across this year. We'd like to clarify that senior cats rock just as hard as dogs. And, no, we did not just type this with a horde of displeased felines holding us at gunpoint. Promise.